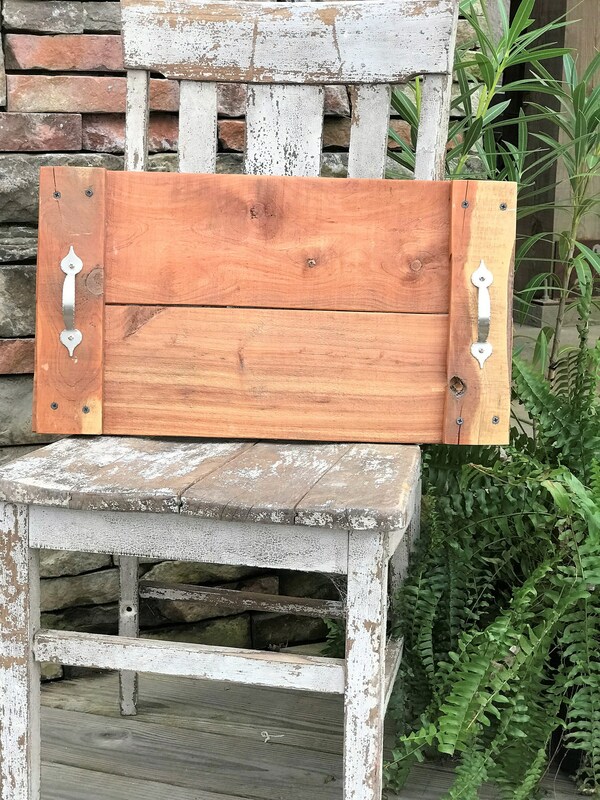 This beautiful cedar tray would look great with your farmhouse or rustic decor! It measures 12"x22" and is made of beautiful solid cedar. Finished with only a clear protective sealant to bring out the beauty of the wood. The handles are hammered metal in nickel. Made with 100% reclaimed lumber.